Evidence of arthritis has been found throughout history, from Otzi, a mummy (circa 3000 BC) found along the border of modern Italy and Austria, to the Egyptian mummies circa 2590 BC. 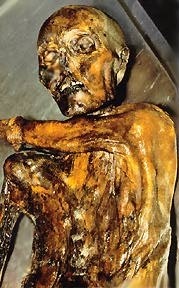 In fact, arthritis was evidenced in ancient Ötzi, a mummy in 3000 BC. Ötzi was the name given to a mummy, popularly known as the iceman, who crossed the Alps near the border of Italy and Austria. Though he wasn’t successful in his venture, the mummified remains of his body does, with the pouch of medicinal herbs that he carried with him, and his arthritic joints, which provide valuable information even 5000 years after he died. 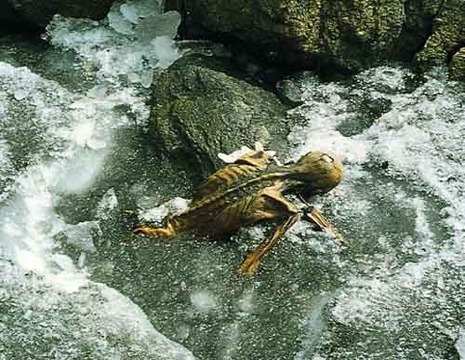 Scientific research is continuing to make great strides on the basis of this unique find, both with regards to the fate of the Iceman, himself, and to the times in which he lived. The first finds made it clear that the Iceman – who was, for his era, a relatively old man of approx. 45 years of age – suffered from arthritis. Tatoos applied at certain neuralgic points were intended as a cure. Additionally, he also suffered from intestinal worms. Otzi didn’t have just one or two tattoos: he had 59 in total! According to Wikipedia, he had “a cross on the inside of the left knee, six straight lines 15 centimeters long above the kidneys and numerous small parallel lines along the lumbar, legs and the ankles, exhibiting possible therapeutic tattoos (treatment of arthritis)”.